Visit to Mondragon, Part 2 | Small Farmers. Big Change. So, around 34% of an individual co-op’s profits go straight to the Mondragon network to supporting a variety of activities, from growing the reserves, to investing in new products and co-ops, to support education, and even toward a solidarity fund to help co-ops in financial difficulty. Not only does this profit allocation provide a healthy safety net for all of the co-ops, it also helps fund innovation and future projects that allow the co-ops to continue to be profitable and innovative far into the future. This is one very direct way in which all the co-ops in Mondragon cooperate! Ikerlan is a research and development organization that helps do research and develop both co-ops and private organizations. There are other ways that co-ops in Mondragon cooperate. Our group took a shopping trip to the Mondragon worker/consumer hybrid super market: Eroski. The particular store we went to can only be compared to a store like Super Walmart or a Super K – it sold groceries, appliances, luggage, clothing, etc., but all of the workers were also owners! On the shelves of the co-op, you could buy products that were manufactured by other Mondragon worker co-ops, like refrigerators and washing machines. The machines were very likely researched and designed by one of the Research & Design co-ops, and the products were transported from the factory to the store by a worker owned transportation co-op. They also had tons of Eroski private labeled items, which came in handy when I had to find some Spanish deodorant with a name I could trust! The point is, this is just one of many examples of how these co-ops, who are distinctly separate in business, are able to work together to create a vibrant co-operative economy. So with all this cooperation going on, our group was left with the question: “How is Mondragon co-operating with co-operatives outside their network”? In all truth, Mondragon typically teams up with any company in a given area that can best do what Mondragon is looking to do, regardless of their ownership structure. When we asked Jesus Herrasti, who was the former head of Mondragon’s International Division (and current head of Mondragon’s Innovation Park – Garia), about partnering with any co-ops in the United States, he noted that Mondragon had talked with a few co-ops in America, some of them with quite a lot of resources, but in the end, the American co-ops were not able to come up with any projects for collaboration with Mondragon. Herrasti felt that this was the case because co-ops are thinking about their own time, their own stuff – and that co-ops do not trust each other. He noted that often times, in co-op organizations with social missions, you can find that people are very proud and thus the organizations are hard to manage and hard to work with. The point of bringing this up is that we, as a co-op community, have to do better. We need to work together, we need to work with each other in the U.S., and we need to work with large co-ops such as Mondragon in other countries if we are to accomplish our missions! It is time to put aside our egos and our pride and just do something, together. 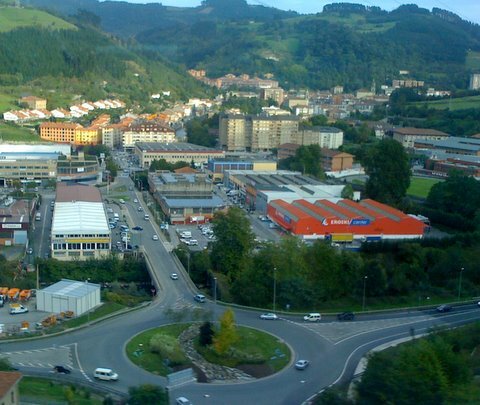 If unions and worker co-ops can cooperate to build something new (see my first post: A Timely Visit to Mondragon), then it should not be asking too much to expect consumer co-ops and worker co-ops to cooperate, or worker co-ops cooperating with other worker co-ops, or Credit Unions with housing co-ops, etc. The point is, we in the co-op world recognize that we need an alternative model; that much is obvious. Thank you Aaron, I very much enjoyed your thoughts here on the 6th principle. One obvious challenge co-ops here in the U.S. face is raising equity and financing our growth. I have heard the comment that the co-op model being not very “bankable” and wondered what you thought about this? Obviously in a better world we would have more of a cooperative network in the U.S. with more banking cooperatives (or credit unions). While we do have financial support that is cooperatively based, my question is more about how the co-op world can best “sell” it’s message to the non co-op world. It seems like co-ops are more structurally sound and because they are not driven by the bottom line are less likely to fail perhaps than a conventional business. But in a world where profit is valued most and slow and stable growth is undervalued, it does seem hard to convince those outside of a particular co-op about why they should care. For some, democratic ownership might sound “nice” but it’s not a top priority and without having really participated in a co-op I don’t know how this will change. A lot of it probably also has to do with our culture’s obsession with the individual and the fact that we do have egos and pride and it almost seems in our nature that we can’t put them aside so easily. You know Andrew, the question of whether co-ops are bankable is an interesting one. I think the quick answer is that they are definitely bankable (although I do not have stats, I believe the success rates for co-ops are high). I think for co-ops, a big bankablity factor is that co-ops keeps capital “local”. By this, I mean that not only do members benefit from the services that the co-ops produce, but also, as the members are the owners of the co-op, the profits generated from the co-op stay within that community where the members live (as opposed to capitalist firms, where investors are from all over the country or world, and that is where the profits can go). The idea that co-ops are not bankable is definitely something you will hear from organizations like the Small Business Association and other private development organizations. 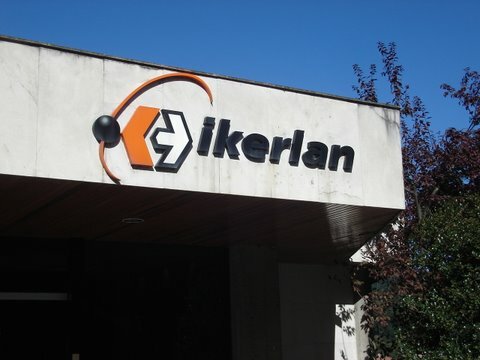 Now in the city of Mondragon, there is an organization called Ikerlan (shown in photo above), which is a research and development organization that research and develop both co-ops and private organizations. So if you go to Ikerlan saying you would like to start a new small business, they will help you do this. Now, the more interesting thing about Ikerlan is if you go to them and say that you would like to set up a new worker co-op, they won’t tell you you’re crazy or try to convince you to start a small private business instead. This is very different from most small business associations in the US who are either not familiar with the co-op model, or not convinced in any way that the co-op model would work. Now the other part of your point is what is a real challenge to co-ops, especially worker co-ops, and that is the scaling up operations and funding larger scale growth. This scaling up can be very difficult for organizations that are worker owned, for by that definition, the controlling capital for a worker co-op should come from the workers – so unless you have a 100 workers who have all won the lottery and are willing to pay $100,000 each for a share, you are going to have a real challenging financing scalable growth from within. At this point, co-ops are going to have to rely on banks and in some cases, outside investors who are willing to put in money for a modest return and no control. This again, is where Mondragon got it right – very early in their development, they created a worker owned credit union (Caja Laboral) to help fund all of their new developments and co-ops. Each co-op used the Caja as their only bank, and their combined deposits helped fuel further growth. Now, although there is currently no Caja Laboral in the US, there are a few initiatives that are helping or hoping to help with the growth of co-ops in the US, which include: The Co-op Capital Fund through Co-op Fund of New England (http://www.coopcapital.coop/coopcapital), and the new Worker Co-op Credit Union initiative, which you can learn about at: http://workercoopfcu.org/about/. These are a few initiatives that are trying to make more capital available to developing new co-ops. So, in the end, although capital may be a challenge to come by for co-ops, I believe that co-ops themselves are safe bets. Thus, what we need to do is challenge the mainstream view of co-ops so that we can access more capital from traditional places such as the Small Business Association and mainstream banks, or simply create revenue sources of our own! I hope in some way that answers your question! Thanks Aaron for writing this piece. It is real “big picture” thinking for us here in the US. We have a lot of hurdles in front of us in the co-op movement but I believe that our experiences and our sucesses are finally starting to speak for themselves. Equal Exchange has been doing business co-operatively for 23 years and I think people are starting to notice the difference. The question is: where do we go from here? How do we seek out other co-ops to work cooperatively with an environment of mutual trust? Mondragon is the tent that gathers co-ops together and allows them to work together. It has built security and trust for co-ops of all sizes to participate with one another. The co-ops in the United States don’t have that shelter. Can we create one? Who takes on that role? I believe it’s an exciting time to be a part of this movement. People have labored long and hard to get us where we are today and I’m thankful I get to stand on their shoulders! I just wonder what we can create in the next 20 years…. Thanks a lot – It definitely does! Hello; I just became aware of the Mondragon Corporation a few hours ago, while reading an article about co op activity in Cleveland (Times Online). Then, I came across your article. It reminds me somewhat of the 60’s and 70’s stuff we were doing with co ops and communes. More importantly, I think co ops are the answer to the high, and perhaps permanent, unemployment situation. I just moved to Portland, Oregon. Do you know of anything going on here along the lines of what Small Farmers/Big Change or Mondragon are doing. I have not gone through your web site yet because of some deadlines I am facing today, so please excuse me if the answer to my question is on one of your pages.